A 10% share price gain is nice, but a 10% dividend boost is great. Apple (AAPL - Get Report) , Valero Energy (VLO - Get Report) , and PepsiCo (PEP - Get Report) can comfortably raise payouts by 10% this year, giving income investors a reason to smile. Each of these big-brand companies has a history of paying handsome dividends. The iPhone maker has over $16 billion in cash and has increased its dividend payout marginally over the last five years. In 2013 the company quadrupled its dividend payout, so a substantial dividend payout increase is not unheard of. 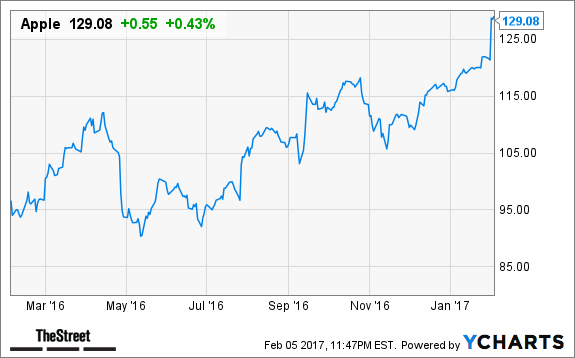 In 2016, Apple paid out $2.28 per share, translating to a yield of nearly 1.8%. Another factor that indicates that Apple could substantially increase its 2017 dividend payment is that its payout ratio, a measure of the amount of profit it pays as dividends, is only 27%. Dividends at the Tim Cook-led company have been growing for four years. In fiscal 2016, Apple's dividend was 10% higher than it was for fiscal 2015. A total dividend of, say, $2.40 per share this year would add up to about $13 billion, a figure lower than Apple's first-quarter profit of $17.89 billion, for 5.5 billion outstanding shares. 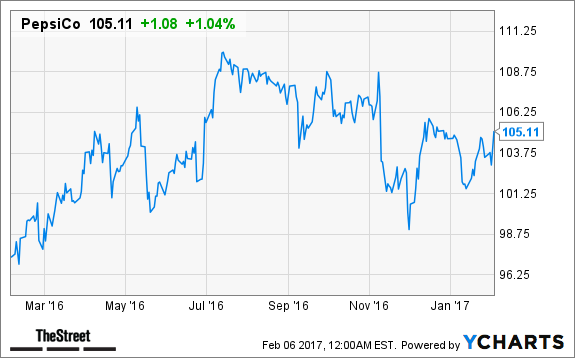 Oil and gas refiner Valero Energy has an annualized dividend payout of $2.80 per share, for a 4.2% yield. This is higher than the average for its sector and peers like Philips 66 (PSX - Get Report) , Marathon Petroleum (MRO - Get Report) , and Tesoro (TSO . With a payout ratio of about 50%, Valero is more than capable of paying higher dividends. It has been paying increasing dividends for the last six years. Valero raised its dividend substantially in 2016, 2015, and 2014 by up to 25%. 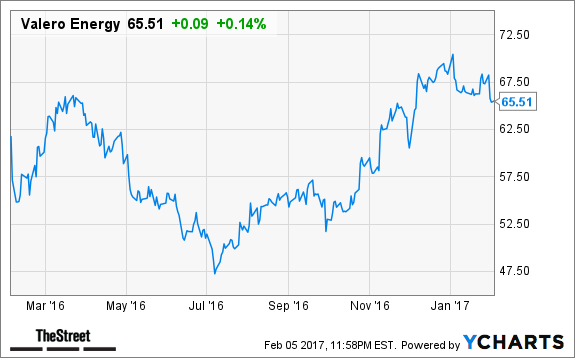 With earnings per share (EPS) projected to grow by nearly 44% in fiscal 2017 due to the company's huge network and assets, Valero can continue paying out generous dividends. Finally, PepsiCo, the soda and snacks giant, is a dividend aristocrat, meaning that it has increased its dividend payout for at least 25 consecutive years. With a five-year dividend growth rate of 7.80% annually, the nearly 3% dividend yield is backed by a comfortable 62% payout ratio. PepsiCo is a holding in Jim Cramer's Action Alerts PLUS Charitable Trust Portfolio. See how Cramer rates the stock here. Want to be alerted before Cramer buys or sells PEP? Learn more now. Rival Coca-Cola (KO - Get Report) has a higher yield and longer track record of dividend hikes -- 54 years compared to PepsiCo's 44 years. But, PepsiCo has a more diverse business and arguably a better market position than Coca-Cola. PepsiCo generates $4.5 billion to nearly $8 billion of free cash flow every year. Given Pepsi's history as a dividend stalwart and its continued growth, the stock makes a great core addition to any stable dividend portfolio. As we've explained these stocks are excellent additions for a well-diversified income portfolio. If you're looking for other income opportunities we know another way you can add a steady stream of dividend income every month... and it's practically guaranteed by the IRS. The company signing the checks might not be one that you've heard of. However, Silicon Valley's top CEOs - think Mark Zuckerberg and Larry Page - know that its product is invaluable. Click here for the full story.